Sea water or salinated water from below the Earth’s surface is the source of solar salt. Salt easily dissolves in water and over 65% of the Earth’s surface is covered by salt water making it the perfect source from which to harvest salt. Solar evaporation is the most ancient process to produce salt. The term solar salt comes from the use of the sun to evaporate the water from salinated water leaving behind a crust of salt. Sea water is roughly 3.5% sodium chloride by volume. Other sources of salt water can be much higher, like water in Salt Lake or other natural brines below the Earth’s surface. The water is pumped in to huge (up to 200 acres) evaporation fields where it is left to lose all it’s moisture content over time to the suns heat and the local dry air. Concentrating the solution over time by adding more salt water and letting it evaporate and repeating until the solution is around 25% salt. The solution is then moved to the crystallization fields and left to dry completely. Once there is enough to harvest machinery will scrape and scoop the crystals up. Now the salt undergoes a process of washing to remove things like magnesium or calcium sulfate. A final dry is applied by oven or centrifuge then stored. The solar salt is finally moved to transport via Ocean vessels, train car, or barges. Alternatively, the salt is packaged and palletized for distribution. 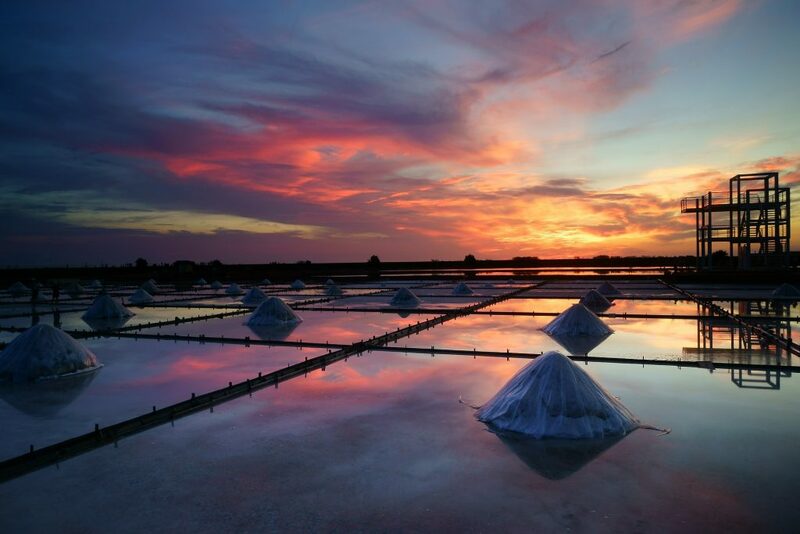 Midwest Salt is the premier solar bulk salt distributor for numerous solar salt manufacturers from all over the USA and the World as well as our own stockpiles of solar salt. 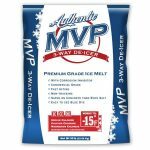 This helps Midwest Salt have one of the deepest supply chains in the industry. Contact us today for a Solar Salt delivery, by the package, supersack, truckload or barge load. Get A Quote For Solar Salt Delivery Here.